"When Ukrainians kill Ukrainians, I believe this is as close to a civil war you can get," the Russian diplomat said to Bloomberg's Ryan Chilcote in an interview that aired Wednesday morning in the United States. 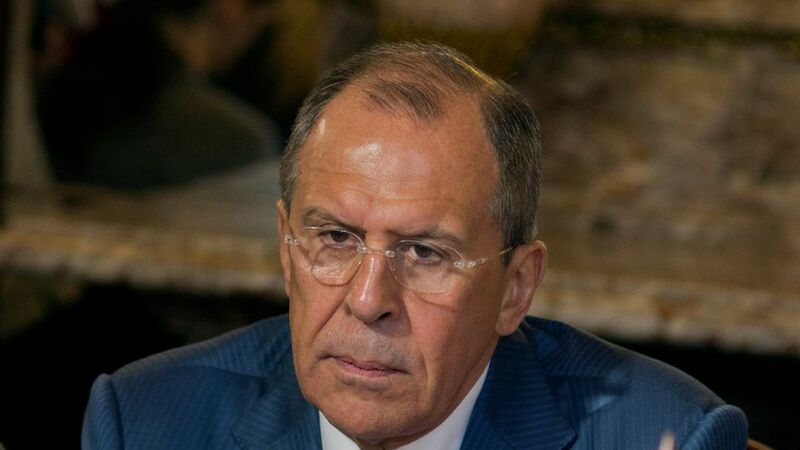 Lavrov then questioned German media reports of American mercenaries at work in Ukraine in the interview. “I sent a message through our ambassador to Washington asking [they] respond to these assertions in the German media," he said. "Rumors to this effect were spread before and John Kerry rejected them. Now they popped up again and we would like to see whether this is true or not," he said. German media had reported there were 400 elite mercenaries working alongside the Ukrainian military to fight the pro-Russian separatists laying siege to eastern Ukraine. The rumors of American mercenaries at work in Ukraine last surfaced in a statement on the Russian foreign ministry's website on April 8. U.S. contractor Academi (formerly Blackwater) denied the accusations at the time. "Academi is not taking part in any operations in Ukraine, and in the future this is not planned," a spokesperson for the company stated. White House spokesperson Jay Carney called the rumors "bogus," and the American ambassador to Ukraine Geoffrey Pyatt said they were "rubbish."